Clear the gardens of dead and dying debris. The end of the garden season is a good time to build a compost pile. For more information, see Bulletin #1143, Home Composting. Some weeds in and around your garden may still exist. If so, do not allow weeds to go to seed. Clip weeds or pull and remove them from the garden space to prevent seed dispersal. Plant peonies and bearded iris. 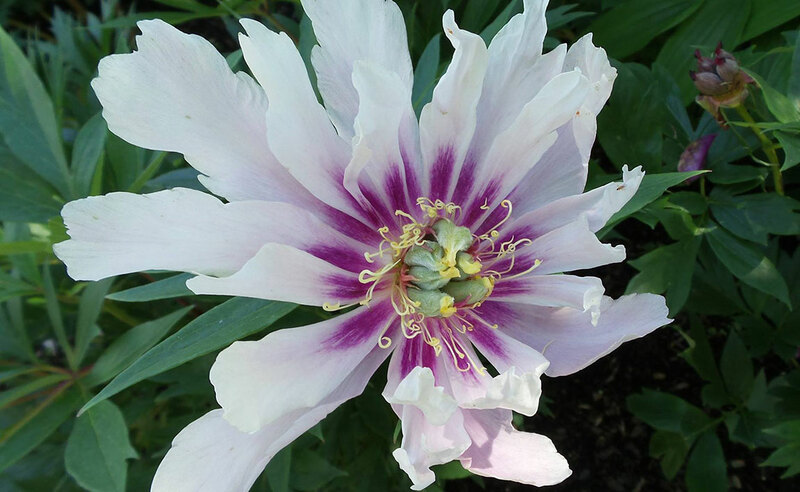 For more information on peonies, see Ohio State’s Growing Peonies or University of Vermont Extension’s Growing Peonies. Divide bearded iris and day lilies. Harvest winter squashes and pumpkins prior to the first hard frost. A hard frost will damage the skin and ruin storage life. Rake up rotten fruit and debris from below small fruit plantings and remove it from the area. This simple act can break a disease cycle. Find and place farm manures or compost for integration into the garden soil. Spread at the rate of ½ bushel/100 square feet (25 pounds). A bushel of manure typically weighs about 50 pounds. This rate represents about a ½-inch layer. Powdery mildew may likely be present in your garden. To learn more about powdery mildew, see Bulletin #5085, Powdery Mildew of Cucurbits. If you have not already done so this year, take soil samples for analysis to determine soil pH, soil organic matter percentage, and nutrient levels. If the soil test results call for lime, fall is a good time to apply it as it takes 3 to 6 months to react chemically in the soil. Liming now will be benefits to next year’s garden crops. Don’t guess – soil test. Plant trees. Consider the site and available space (upward and outward) when selecting tree type. Researching the possibilities will benefit you and the tree in the long run. 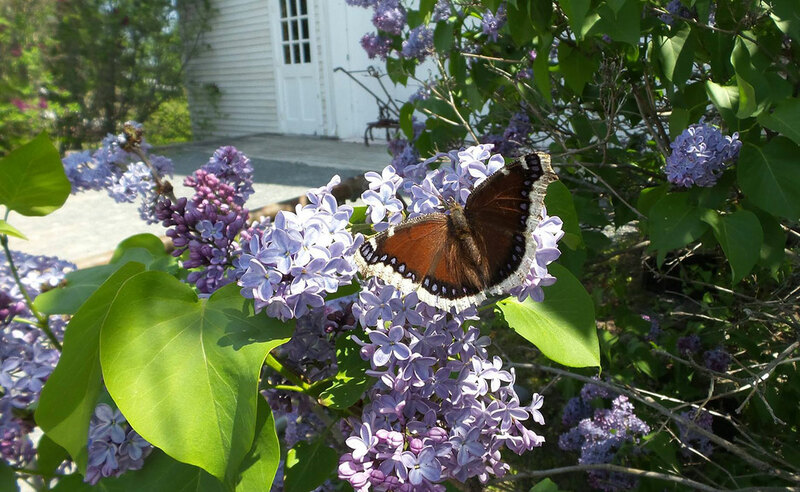 For more information, see Bulletin #2366, Selecting, Planting, and Caring for Trees and Shrubs in the Maine Landscape. Watch daily weather forecasts for threats of frosts. Be prepared to cover tender crops when appropriate. A frost does not generally occur when skies are cloudy or if it’s windy. 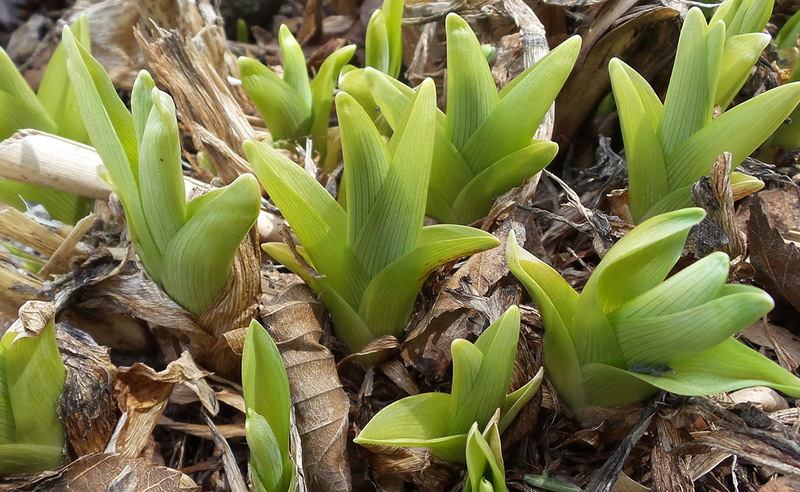 Consider planting a cover crop this month in open areas of your garden. Sow whole oats (available at farm feed stores) at the rate of 5-10 pounds per 1000 square feet as a minimum for home gardens. You can sow at a much higher rate as the seed is relatively inexpensive. Increase the sowing rate — to more than doubling the rate — as the weeks pass in September. You’ve worked hard all season to cultivate a beautiful crop of onions and winter squash. Now is the most important time to ensure that you’ll be able to enjoy the fruits of your labor long into the winter months. Taking care to properly harvest, cure, and store onions and squash will reduce the incidence of premature rotting and improve the quality of the vegetable over a longer period of time. Storage onions are ready to harvest when approximately half the leaves die back and the tops of at least half of the plants topple over. Keeping the tops attached, carefully pull or dig the onions when the soil is relatively dry. Try your best to avoid bumping or bruising the bulb and refrain from handling bulbs when wet. To begin the curing process, harvested plants can be left in the field for a few days to dry out further if the weather is warm and sunny. 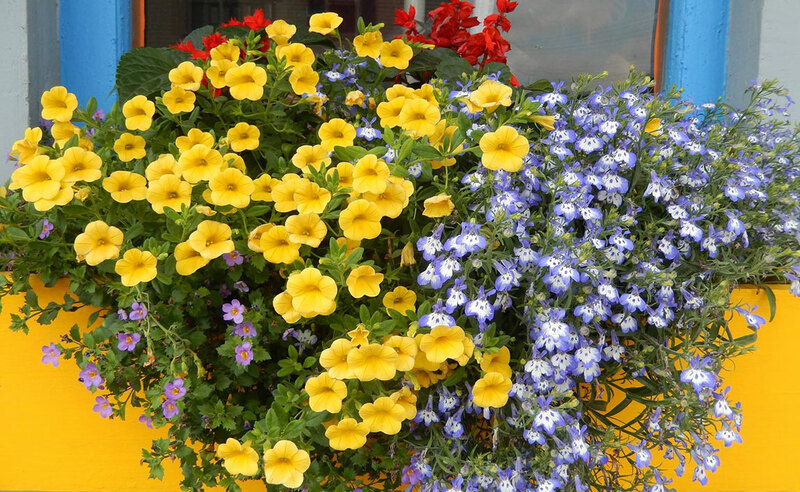 Otherwise, plants can be placed in a single layer on a clean dry surface, in a warm, dry (65-85F, 70% relative humidity) location. Plants can be exposed to sunlight during the curing process. Good options for curing spaces include a well-ventilated greenhouse (not too hot), garage, or storage shed. Curing is complete when the neck just above the bulb is dry and tight and the outer scales are dry and papery. This usually takes a few weeks. Dried tops can be braided together if you prefer to hang the onions for storage or the tops can be cut back to 1” above the bulb. Onions should be stored in a well ventilated container (basket, mesh bag, etc.) or hung in a location that allows for good airflow. The space should be cool and relatively dry (32-40F and 65-70% relative humidity). It’s best to gradually bring the onions down to storage temperature from the warmer curing temperatures. Keeping them for a few weeks after curing in an unheated garage, as the autumn temperatures drop is a good way to make this transition. To determine if the fruit is ripe, look for tough, dull, dry skin that cannot be punctured with a thumbnail. Unripe fruit will not store as well. Care should be taken to avoid bruising or cutting the fruit during harvest and fruit should not be stacked too deep (two to three layers deep at most). Stems should be cut as short as possible. Most winter squash should be cured in a warm, slightly dry location with plenty of air flow (80-85F and 75-80% relative humidity). If the weather if favorable, this can be done in the field, but care should be taken to avoid sunscald and chilling injury during nights below 50F. Curing typically takes about 10 days. 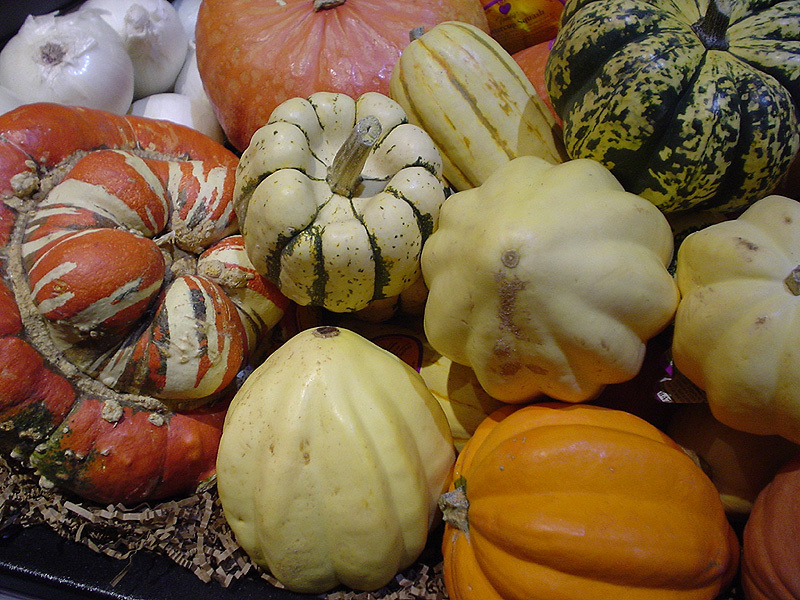 Not all winter squash types benefit from the curing process. For example, the quality of acorn varieties declines with curing. Therefore, acorn types should simply be gradually cooled and put into storage. Winter squash store best in well-ventilated, cool, dry areas (55-60F and 50-70% relative humidity). Lower humidity will cause the fruit to dry out and higher humidity can provide favorable conditions for potential decay organisms. Taking the time to properly harvest, cure, and store your produce will allow you to enjoy savory meals during the chilly winter months to come. Here’s a recipe to whet your appetite: Stuffed Squash. Got a bumper crop this year you want to be able to enjoy in the middle of winter? This is a great time to think about keeping some of those vegetables you worked so hard to grow. Storing your homegrown produce can be a rewarding experience, especially in the depths of winter when the garden is blanketed with snow. Today our options for preserving the freshness of food are plentiful. Freezing, refrigeration, canning, pickling, and dehydration are all valuable methods for preserving the taste and nutritional quality of foods. So why with all of the modern conveniences of these preservation methods would you want to store your vegetables whole in, say, your basement? Root cellaring is a great addition to the home gardener’s toolkit because, generally, you have everything you need right at your fingertips, or below your feet. Winter storage requires very little energy input, which saves you time and money, and frees up valuable “real estate” in your refrigerator or freezer. Additionally, when you store your produce in a root cellar there is no need to worry about a winter power outage ruining all your hard work! Before you begin planning your root cellar you’ll need the right produce. Not all produce holds up well to long-term storage and some varieties store better than others. 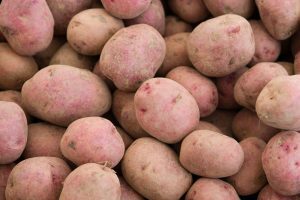 Tried and true crops include most root vegetables like potatoes, carrots, turnips, and beets, as well as onions, garlic, cabbages, winter squash, and even some leafy greens like kale, and fruits like apples and pears. Knowing what varieties store best is as easy as checking the seed catalog where you purchased your seed (often these varieties will be labeled “late season” or “storage” or have a designated symbol. To determine the specific needs of the produce you are hoping to store, check out Bulletin #4135, Storage Conditions: Fruits & Vegetables for ideal storage conditions for each type of vegetable and fruit. So you’re ready to dig a hole in that hill in your backyard? Digging an outdoor cellar is an option, but consider how likely you are to visit your outdoor root cellar when it’s covered in snow. The term “root cellar” might lead you to believe that it needs to be underground, but take a look around your house and you may find great spots for storing vegetables in unexpected places like an unheated bedroom, closet, entryway, a shed, basement or crawlspace. A few things to consider when developing your plans for winter storage are temperature, humidity, accessibility, and ventilation. Temperature and humidity are the two most critical factors to control in a root cellar. Purchasing an easy to read thermometer with a hygrometer will be a worthwhile investment. Many crops will need a temperature range between 32-40 degrees F to keep them from spoiling. If the temperature falls below the freezing point, produce will likely develop cell wall damage and subsequent decay. Keeping produce cool, but not freezing, will slow the respiration (breathing), which will help lengthen their storage life. Humidity is also an important factor to control. Each crop varies in their needs for moisture, but most require about 90-95% relative humidity. If the space you are going to use is too dry, several options are available to increase the humidity, including using a humidifier, damp burlap, or setting out shallow pans of water. Additionally, finding a space that allows good ventilation will help keep the gasses from respiration from building up and causing spoilage. Ventilation can be increased by cracking open a window when the outside air temperature is warm enough or with the use of a fan or ventilation pipes. Keeping your space dark by covering windows will also help reduce spoilage in vegetables that are prone to sprouting like potatoes. Potatoes that have been exposed to light can turn green, which is an indication that they have built up toxins and should be discarded. The last thing to consider is what you will store produce in and on (containers or shelves). Avoid materials like cardboard, which will rob produce of necessary moisture. Boxes, crates, barrels, or plastic mesh laundry baskets will work well, just be sure that foods are not stored in containers that are unsafe, like those that have held cleaning products or chemicals. Use food-safe containers. For more information, see Food Safety and Your Garden Produce. If you opt for shelving, shelves that are porous and could potentially get moldy or rusty should be avoided. Plastic shelving can be a good option. If you opt for wood, oak is the least likely to rot. Wherever you choose to have your root cellar, check your produce often and discard anything that shows signs of mold, damage or decay, which can spread quickly through your cache. If you follow these guidelines you should be able to enjoy your home-grown produce all year long. Cumberland County Garden Angels also like to take time for play. 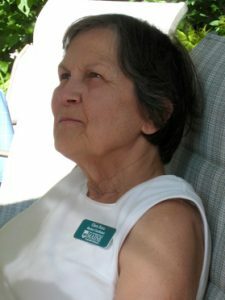 On July 24, 2014, a morning social was held at the home of Mary Webber, Garden Angel, in Yarmouth. 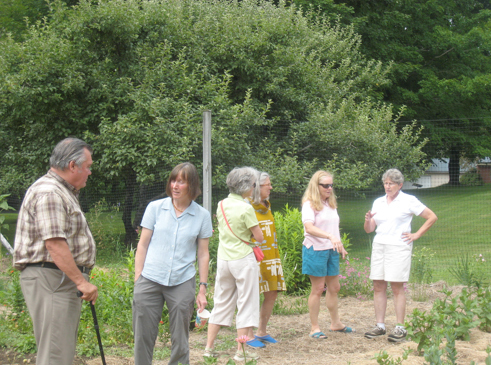 Garden Angels gathered with some of their recipients to share stories and ideas. 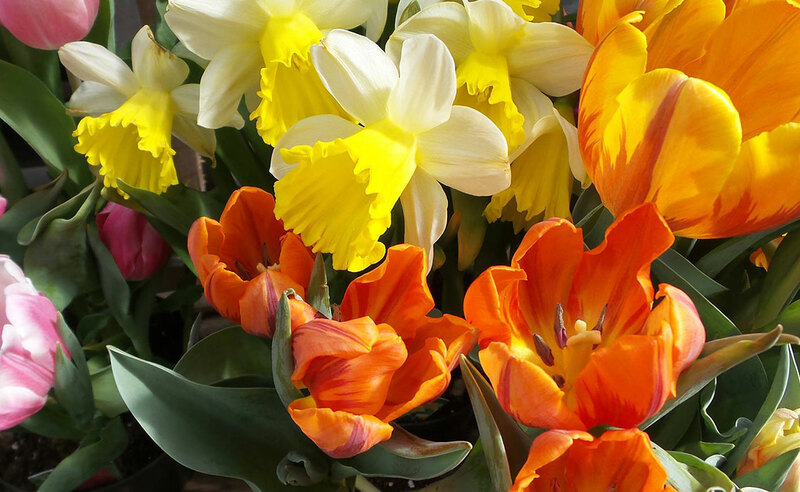 They toured Mary’s bountiful garden from which she freely shares flowers with “Flower Philanthropy.” For example, once a week 35 bouquets are created from Mary’s flower garden and distributed with the local Meals on Wheels. It was inspirational to hear the experiences of some of the Garden Angel and recipient pairs. 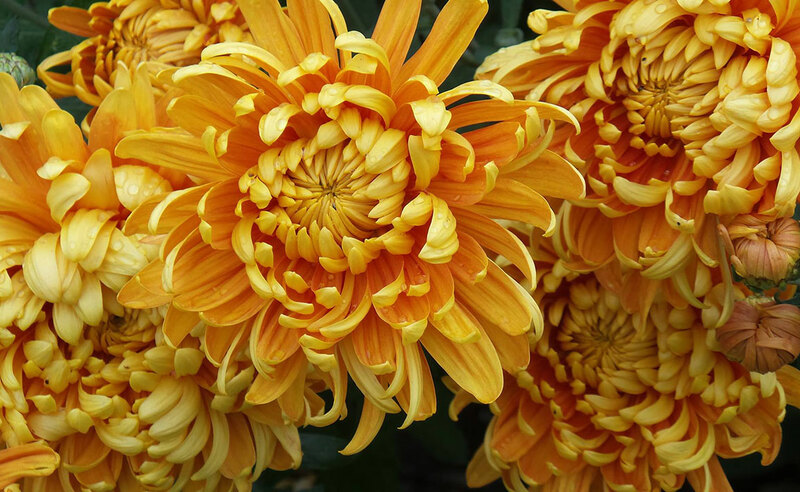 In one situation, the Garden Angel helped in the garden of a trained horticulturist who had had a stroke. The Garden Angel shared ideas about the many plants in the garden which were healthy to eat, and in turn the recipient taught the Garden Angel about family heirloom plants brought from another country. Clara Ross also has a personal story. 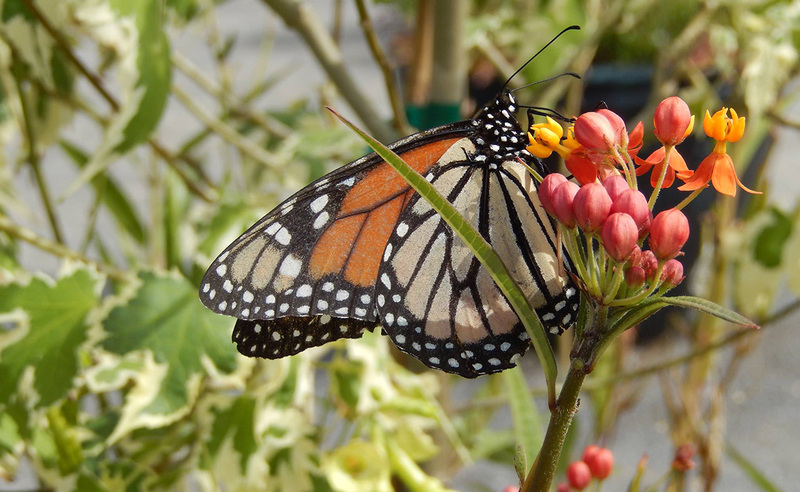 After so many years of facilitating the Garden Angel Project, she thought that she had a good idea of how the recipients experienced being helped in their home garden by someone else. However, a year ago she had surgery preventing any gardening for a while. One day a team of four Garden Angels showed up to pull weeds. “We think it’s your turn to get some help.” At that point Clara struggled with her temporary disability and her desire to be very independent. “It sure was strange and difficult to see other people pulling my weeds. I was so grateful and learned a big lesson that day. Sometimes I am able to give, but other times, I need to learn to step back and receive.” On that day she truly learned how valuable the Garden Angel Project is for so many people. 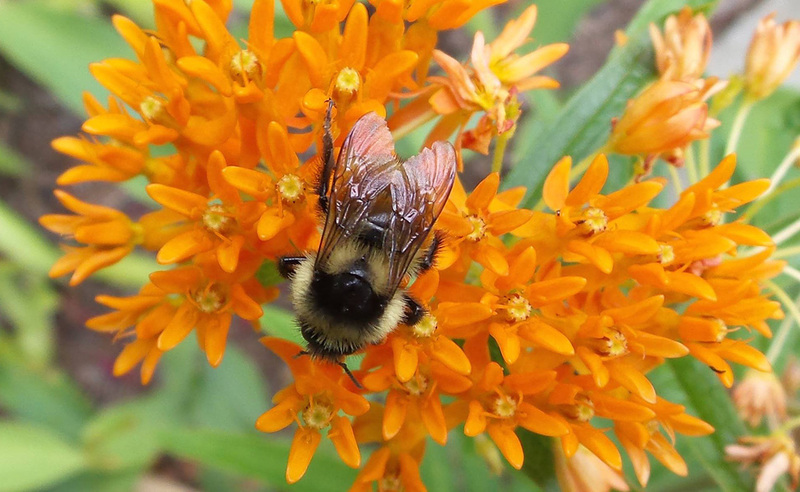 For more information about the Garden Angel Project, please contact Diana Hibbard, Home Horticulture Coordinator, at 207.781.6099 or dhibbard@maine.edu. Vine-ripened tomatoes are one of the best results of your summertime garden. With Maine’s relatively short growing season, home gardeners are often left with plenty of unripe, green tomatoes in the fall. With careful management, these tomatoes can be ripened at home in storage. Green tomatoes can also be preserved by canning, freezing, or dehydrating to be used in any recipe that calls for tomatoes as a vegetable, main dish, or a salad. Just like ripe tomatoes, green tomatoes are high in Vitamins A and C, fiber, and contain lycopene, an antioxidant compound that is thought to help prevent some cancers. For best results, only store and preserve unblemished fruits from healthy plants. Do not attempt to preserve (can or freeze) tomatoes that have been affected by disease, such as late blight. The late blight fungus can raise the pH of the fruit, thereby lowering the acidity, making it unsafe for home canning. Green tomatoes can be canned whole, halved, or crushed in water; made into salsa, pickles, and relish; or frozen. Even though green tomatoes are more acidic than their red counterparts, they still require acidification to process safely at home. Add 1/2 tablespoon of bottled lemon juice per quart jar or 1/4 tablespoon per pint jar. For more information on canning tomatoes, see Bulletin #4085, Let’s Preserve Tomatoes. Freeze green tomatoes after washing and coring the tomatoes, either whole, quartered, or sliced. You can even dip green tomato slices in flour or cornmeal and freeze between pieces of wax or parchment paper for easy fried green tomatoes. Fry prepared tomato slices in hot oil without thawing. Add salt and pepper to taste. 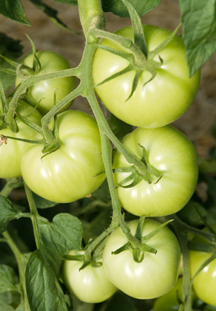 Enjoy your garden’s ripe tomatoes while they last, but don’t despair over those green tomatoes that never ripened.